Professional service based upon scientific knowledge and skill in human relation, which assists individuals alone or in groups to obtain social and personal satisfaction and independence”. The main objectives of social work is to secure for each human living the economic necessities, a decent standard of health and living conditions, equal opportunities with his fellow citizens and the highest possible degree of self respect and freedom of thought and action without the same right of others. Social work is designed to give assistance is respect of problems that pullback individuals, families and societies in their endeavour to secure a minimum desirable standard of economic and social well-beings. It is a social as well as helping activity carried or not for personal profit by private practioner but for the benefit of members of community. It is a humanitarian activity through which the disadvantaged in society may get the benefit of the resource in the community to meet their problems and needs. Social work is a professional descpline. Like other profession we learn knowledge, value, principal and related objectives in our theoretical class. But it is not all. We can make our knowledge and skill strong by practical training. Practical training means go to the field and work with reality. It is considered an integral part of social work education. By this process we got opportunity to apply theoretical knowledge and techniques in field work agency to meet the social problems. Practical training provides the student the opportunity to realize how social problems are influencing the individuals, group, family, organization and community. Moreover practical training enables a student to understand the roles and functions of social policy, law, and social service related organization network community resources. In total practical training gives a chance to a student to observe the role of a social worker in total problem solving process. In the syllabus of BSS(HONS) of social welfare it is said there “field work consist of supervised practice in problem-solving activities with the receptionists of social work services which enable students to learn to apply and test social work skills necessary for professional practice with their knowledge. # Creating a due environment to make students self-conciousness. # Along with studies the attitude and the skill of the students should have a balanced display in the classroom. # Making opportunities available to the students to apply social work method and be experienced. experience of social work profession. 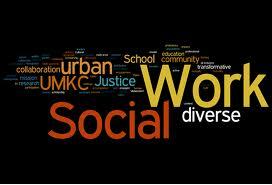 Modern social work has two dimention, theoretical and practical. A social worker gains knowledge about society, social problems, poverty, social structure, social values, human behaviour, social work process when practical training enable them to ensure them to use this knowledge acquired knowledge in this field for real life purposes. Taking notice of this requirement higher education has been provided with practical training in its syllabus about social work which thought student can apply theoretical knowledge for soluation of problem. On the other hand acquiring knowledge and practical exercise of this knowledge is extremely necessary for a skilled social worker. And this point of views social work education and field work is mutually related. A society devoid of deprivation of any class, developed and economic atmosphere around and a balanced social system is desired by every reasonable member of it and the fundamental and necessary methods of social work study and their appropriate application in real life can ensure those desired conditions. And these together make social work education and practical training inter-dependent upon each other. By obtaining degree in social work in BSS and MSS he or she is treated as a social worker. Social worker is the ambassador of society. In performing field work a student gets the chance of mixing with different sections of people and can observe community directly, their behavior, social value, attitude and their socio-cultural and economic conditions and their inherent causes. So why to broden the knowledge of insight of student the necessary of field work is unique. And lately it is undoubtly clear that field work in present day social work is a wonderful combination of theoretical knowledge, prSactical experience and skill which are emergently necessary for students. Central drug addiction treatment center is located at Tejgaon industrial area in Dhaka. It’s side thana complex, in south deo tin company, in the west residential hall of Bangladesh textile college and in the opposition side central office of milk vita. It is situated upon 2 acres of land of two 3 storied building. Its front side of ground floor is outdoor and follow up room. In its beside is pathological room. Near the right side of ground floor is social service department. In its 1st floor the room of director is situated. There has also room for official stuff. In its 2nd floor the front side is paying word, non paying word. And the back side is for the senior nurse, stuff, and for the occupational therapist. Central drug addiction treatment center is situated at Tejgoan in the green and ideal place. The authority started its launch taking 10 beds of Tejgoan health project on August in 1988. Afterwards Government increased its number of seat. Now it has 40 seats.25 non paying beds were under Tejgoan health complex and 15 non paying beds were Gulshan avenue. Eminent psychologist Pro. Dr. Nazimuddulah Chowdhury joined this hospital as established director. It has come out as a renowned hospital of addiction treatment center in vary short time. Afterwards 15 paying bed of Gulshan transferred to Tajgoan health complex. Pro Dr. Nazimuddulah Chowdhury, doctor Syada Anawara huq, Pro.Dr.Enayetul Islam, doctor Syed Kamal uddin Ahmed, Doctor M.A SObhan and Shamim Matin CHowdhury led this hospital as director. Taking case history of the patients. Communication with International and non-government organization for collecting resources. Creating technical training opportunities for addicts. To do conscious about drug for protecting destructive effects. Pre-Admission: Registration new patients, data collection, diagnosis kinds of addiction test of mental condition, pathological test. Observation report pathological test, diagnosis accurately, motivation, counseling and treatment for the another disease. Home based treatment. Home visit for drop out patient: giving employment, counseling and Assistance. Training Class: Tendency of repudiation, complexity and effects of addiction, relapse, harmful effects of cigarettes and wine and protect difficult situation of AIDS with the help of CARE. Occupational Therapy: Draw picture, singing and sports: chess, carom board, Iudu, table tennis, typing sewing for expressing their feeling and realization. Token economy: Award for good behavior and act. Activities for consciousness against drug. Manage special activities and advanced diet at various national and international day. Activities concerning research and publication. Manage cultural festival for recreation. Basically central drug addiction treatment center provides medical treatment. 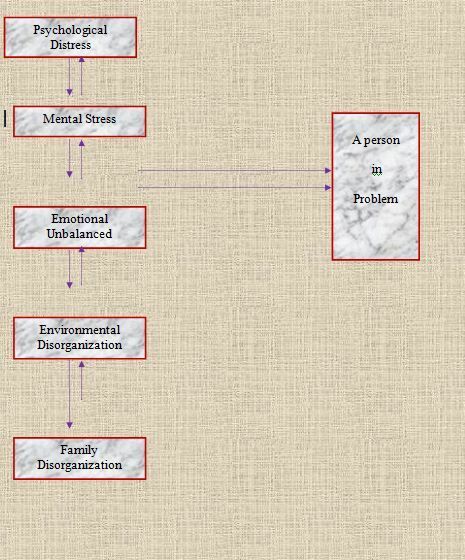 In the detoxification approach, following medicine are given for the treatment. There are several offices in the government hospital in Bangladesh and in every office being formed a patients Rogi Kaylan samiti. The Samiti is registered by social service department. It is being formed a treasury through collection of Zakath and donor assistance for vulnerable destitute patients welfare by this samiti. Rogi Kayllan Samiti for drug addicted patients launched on November 1988 and got registration from social service department no (d) Dha 022.03. Hospital director became chairman of the Rogi Kayllan Samiti. by his designation power. 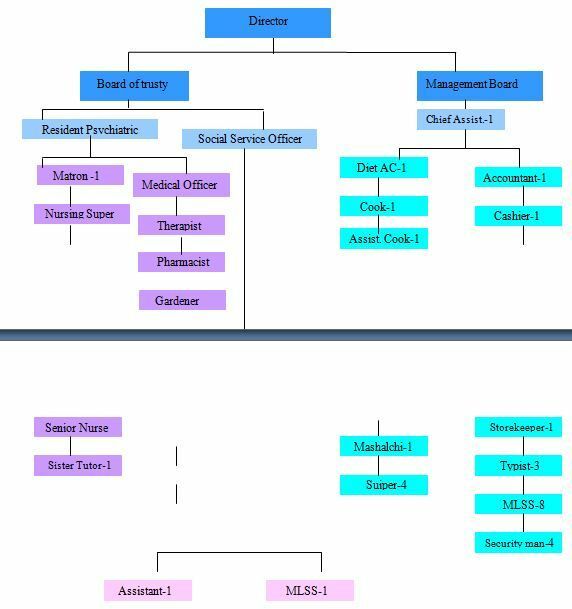 Hospital social service officer being selected member secretary by his/her designation power or and treasurer from R.P. senior doctor, hospital doctors, matron, occupational therapist, social solvent people and renowned social worker became member of secretary. Every work being done by present member committee. It is being held bank exchange by samity chairman, secretary and treasurer signed by any two. The drug addicts were detached from healthy life, social familial environment for long time use of drug. In this perspective drug addicts Rogi Kayllan Samiti has taken following initiatives. Arrange pathological test for insolvent people and several financial systems to admit. In case of need blood supply, arranging medicine and transferring another hospital for the vulnerable patients. To give communication fair to special news to the family/home. Arrange religious discussion and milad mahfil on the special days. Arrange group therapy, like sing, sports and drawing picture and served all instrument related to functioning. Arrange television and dish connection for re-creation of indoor patients. Arranging audio player and speaker connection within every ward for indoor patients. To award for good behavior, regular class participation and good work. To arrange games for recreation of indoor patients on special days and give reward. To aware guardian display board, leaflet poster and sitting arrange in the waiting room. To provide convenience to follow up the patients. To arrange games for recreation f indoor patients i.e. providing carom board, chess, tass and Iudu. To arrange rehabilitation for after care, learned vulnerable and unemployed on the basis of their capacity i.e. computer training etc. To arrange lecture class three days in week and give allowance to the facilitator/counselor. To publish regular paper, magazine and various educational book. To arrange meditation for buildup confidence to the patients. To provide counseling facilities to cope with family within the social club. Home visit and bearing related convenience. Credit Risk Management System City Bank Limited.